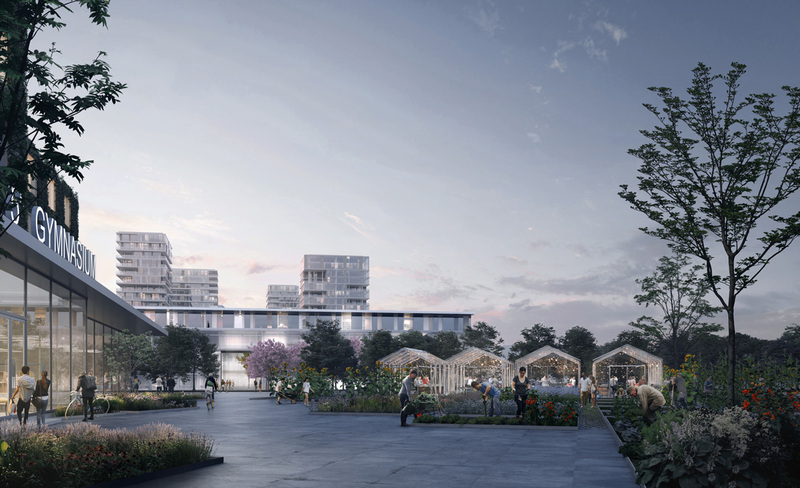 On 12 September, it was announced that OMA, FABRICations and LOLA Landscape Architects have been selected to transform the former Biljmerbajes prison into a new, car-free urban neighbourhood in collaboration with AM Real Estate Development. The new area will become the Bajes Quarter. There were five other plans submitted to the competition, and starting 3 October, they will be on display in the former prison in an exhibition hosted by Architectuurcentrum Amsterdam. 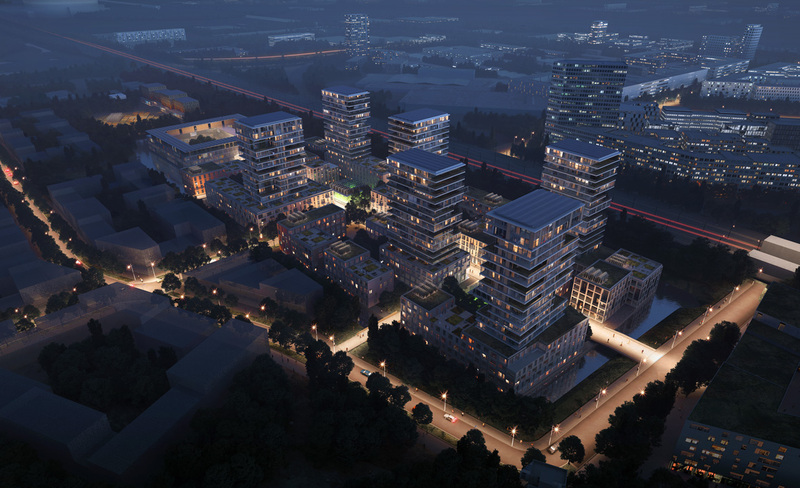 The Central Government Real Estate Agency and the Municipality of Amsterdam have laid the ground work for the new Bajes neighbourhood and before the summer, five teams proposed a plan and budget for the project. Since the judges considered cost and quality to be equally important factors, the five contestants went to great lengths to create a high-quality design that would optimize the location’s potential. Our team didn’t win, but we are proud of the plan we submitted together with the following partners: Round Hill Capital & Stadium Capital Partners, Vivo Development, bbn adviseurs, Paul de Ruiter Architects, Rijnboutt, ABT - Bouw- en slooptechniek, DWa and MOOi Lost Op. In our proposal, the cultural history of the Bijlmerbajes complex is absolutely essential to the future Vreiland’s identity. As a nod to the prison’s history, the area remains recognizable as an enclave. 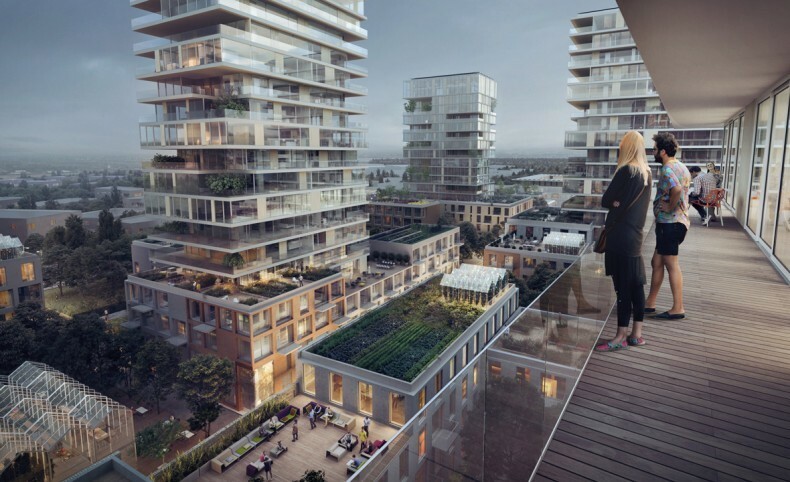 Our design maintains the six towers and reinforces the enclave with a construction proposal that seeks edges and intensifies corners. The Bajes neighbourhood is born of expanding human needs in the city. Rather than seeing the past as dead weight, our design treats it as an incentive for creating maximum living quality. While traditionally, neighbourhoods are founded on an image quality plan, Vreiland has a living quality plan. This plan includes guidelines for enjoyable living, green outdoor spaces, healthy mobility, conscious living, social quality and development. Through the combination of various living typologies, Vreiland becomes a place for everyone—from students and starters to families and seniors— with a variety of free sector and social housing for sale and rent. Vreiland offers a unique environment that is all at once highly urban and car-free—a place where residents feel safe on the streets and children can play carefree. The intricate network of green outdoor space invites users to move and explore. Vreiland would be the first residential district in the Netherlands with a BREEAM Outstanding label for all residential buildings, which would be partially made of recycled Bijlmer concrete. The area would also serve as a testing ground for circular enterprise, promoting an active local economy. Vreiland offers space and infrastructure for innovative and sustainable business ventures, giving the area an image that stretches far beyond that of the ‘enclave canal’.